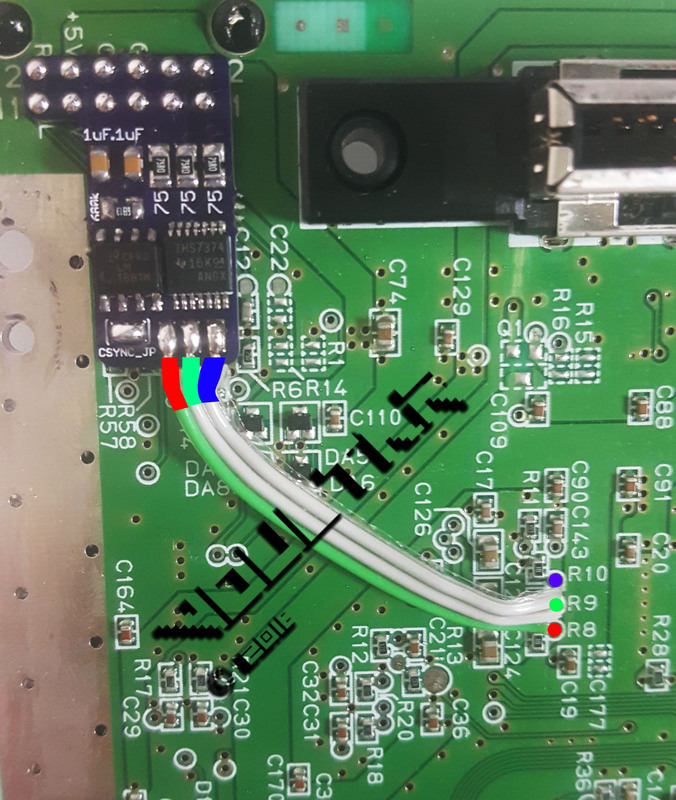 This guide shows RGB mod instructions using a pre-made RGB amp. There are a few different ones available now (some examples shown above), but the installation is similar for all. Any specific differences will be mentioned below. – Flux or flux pen; Not required, but strongly recommended! 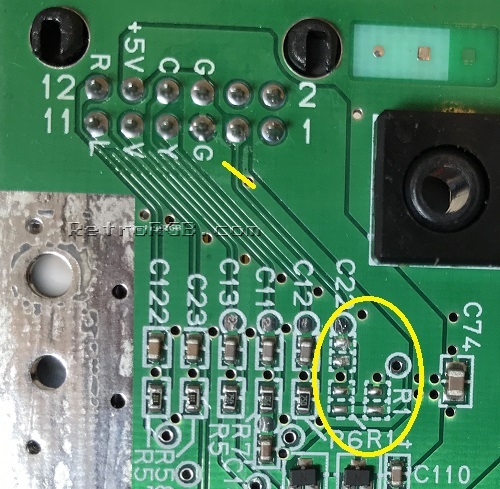 Double check that your wires aren’t sticking through to the other side of the board. Also, if you didn’t use flux, go back and use some…this fixes about 90% of all installation issues. 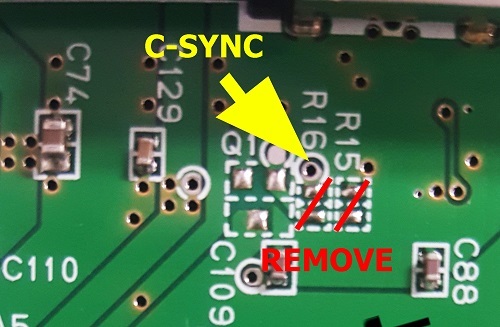 For boards with a sync stripper circuit, simply short the CSYNC jumper by adding solder to both pads and dragging them together. 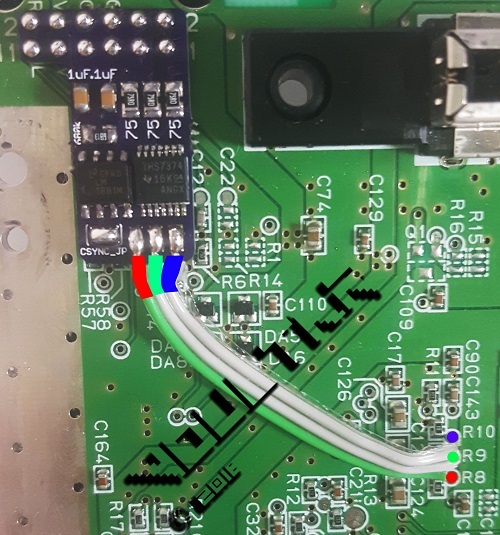 Once again, verify the connection with a multimeter. That’s it! 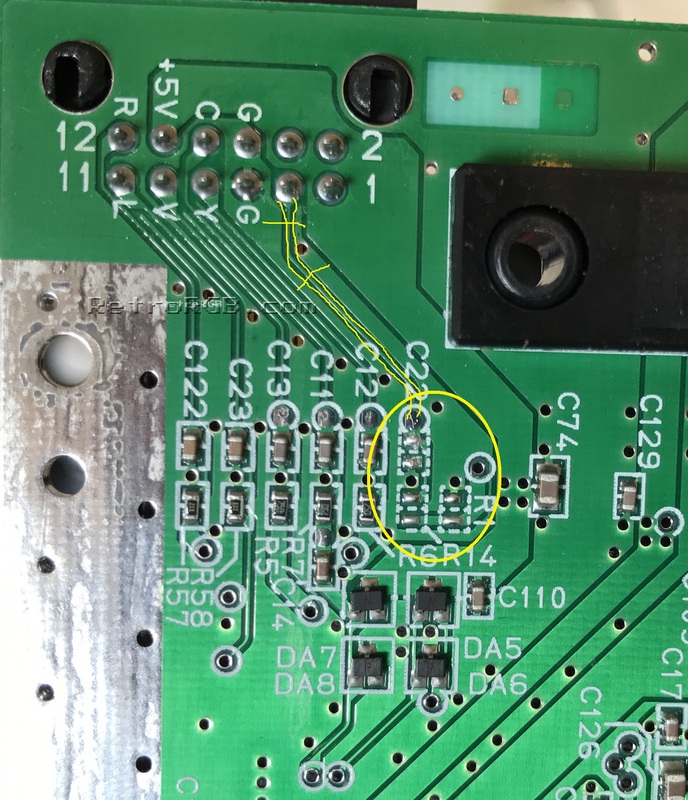 A super easy way to add noise-free csync to an N64! 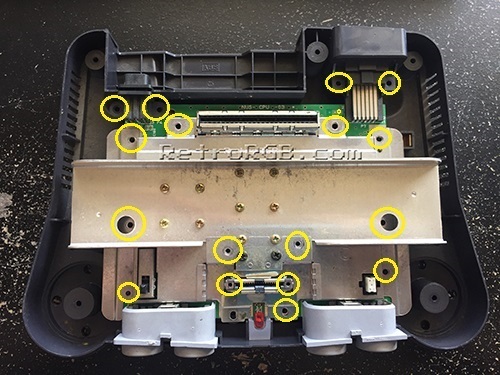 – Lastly, bolt everything else back in the order you removed it and give it another try. 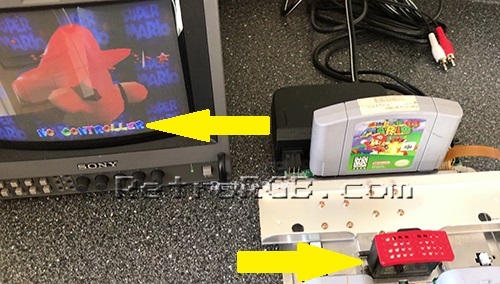 Remember, the memory module has to be plugged in, or the N64 won’t boot. 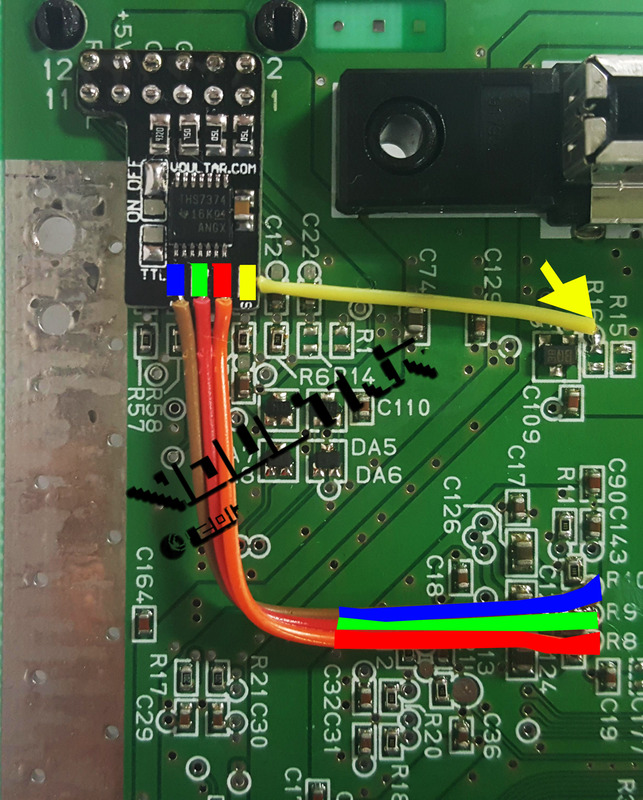 – If you have any trouble, test with a composite video cable to see if the issues occur on composite, or just RGB.